Weibling Insurance Agency | What is Medicare Supplement (Medigap) insurance? The Weibling Insurance Agency offers Medicare Supplement Insurance insured by UnitedHealthcare Insurance Company. The better you understand Medicare and how it works, the better prepared you'll be to choose the plan that's right for you. Part D (Prescription Drug Coverage) is only available from private insurers through contracts with Medicare. If you are approaching age 65, you have a 7 month window to enroll in a Medicare Advantage or prescription drug plan. This window consists of the three months before your 65th birthday, the month of your 65th birthday, and the three months after your 65th birthday. If you are employed and plan to continue working after your 65th birthday, talk with your company's benefit administrator. Find out how your current health plan differs from or works with Medicare. If you are not 65 but you are disabled, you are eligible for Medicare after you have received disability benefits from Social Security for at least 24 months. 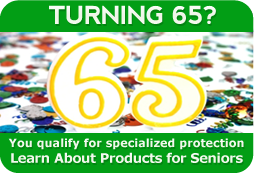 People who become newly entitled to Medicare should enroll during their initial enrollment period, as they turn 65. You can also enroll during the annual enrollment period from October 15, through December 7, each year. January 1st through March 31st, the Medicare Advantage Open Enrollment Period. If you're in a Medicare Advantage plan, you can make one change to a different plan or switch back to Original Medicare (and join a stand-alone Medicare Prescription Drug Plan) once during this time. Any changes you make will be effective the first of the month after the plans gets your request. Help pay for hospital costs, doctor visits, and other medical services. Typically provide additional benefits like preventive care that Original Medicare doesn't cover. Combine all benefits and services in one plan.